Online marketing is prioritized as compared to traditional marketing methods. Announcing a new product or service –You can draft a press release and immediately get your news found on all major search engines. Futhermore companies can share news on social media networks. This also enables you to target thousands of journalists. Improving brand image. Because it has become so easy to publish and distribute a press release, companies can easily send out as many press releases as they want. Publishing more press releases more often is a good way to improve your brand’s image. Images help drive interest. Press releases now include images, videos and other multimedia, which means you can convey your message and news stories in more interesting ways than ever before. Instant world-wide distribution. 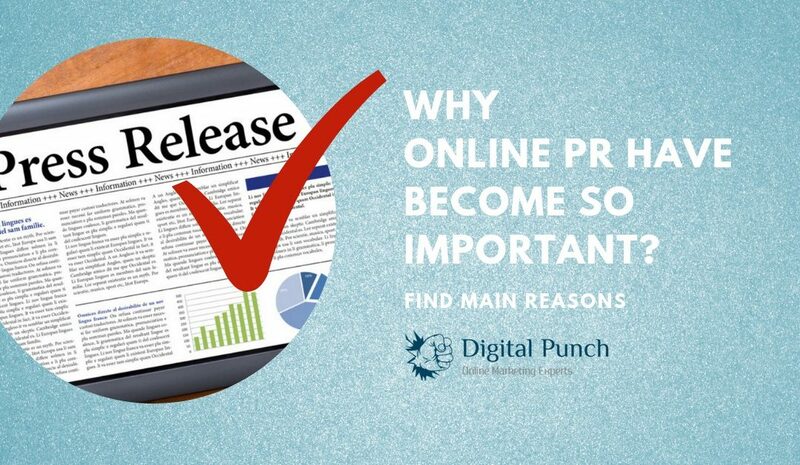 Before online press releases had become common, most press releases were sent only to journalists. If not deemed worthy of press mention, they lived in a binder, on someone’s desk or in a building lobby. 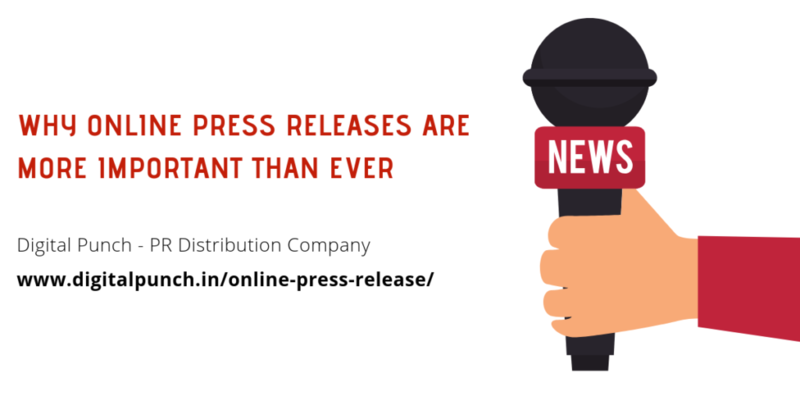 Now a single press release can be distributed to several top news channels. Expanding public knowledge. By adding links to other Web pages within a press release, companies can direct readers to even more information about what they do. Viral possibilities. An online press release can go viral if people start sharing it over social media networks, thereby creating a buzz that was never possible with traditional media like newspapers and television. Portability and convenience. People can read a press release anywhere on the Web or on their smartphones. Search engine optimization. By using specific keywords relating to your business, you can optimize your press release so people can easily access your company information through search engine use. Google Ranking Factor: PR is one of the factors in google page ranking. Both large and small companies in every industry are now using social media as an integral part of their public relations and marketing needs. As social media continues to replace the traditional channels of brand promotion and communication, public relations has become synonymous with social media marketing. Direct communications tools that can deliver unfiltered messages to the masses. Hello Kumar, sorry but a Press Release is an authentic way of communicating your services in public. A company should be a registered entity under Govt of India.